Peace Corps Online: August 24, 2004: Headlines: COS - Somalia: Election2004 - Petri: Election2004 - Bush: Politicis: Congress: Lacrosse Tribune: US Representative Tom Petri said " As John Edwards travels through Wisconsin today, people may hear the false charge that their overtime is at risk," Petri said. "The truth is that President Bush is absolutely committed to putting more money in the pockets of working people — both through good pay and less taxation." August 24, 2004: Headlines: COS - Somalia: Election2004 - Petri: Election2004 - Bush: Politicis: Congress: Lacrosse Tribune: US Representative Tom Petri said " As John Edwards travels through Wisconsin today, people may hear the false charge that their overtime is at risk," Petri said. "The truth is that President Bush is absolutely committed to putting more money in the pockets of working people — both through good pay and less taxation." Peace Corps Online: Directory: Somalia: Special Report: Tom Petri: Tom Petri: Archived Stories: August 24, 2004: Headlines: COS - Somalia: Election2004 - Petri: Election2004 - Bush: Politicis: Congress: Lacrosse Tribune: US Representative Tom Petri said " As John Edwards travels through Wisconsin today, people may hear the false charge that their overtime is at risk," Petri said. "The truth is that President Bush is absolutely committed to putting more money in the pockets of working people — both through good pay and less taxation." 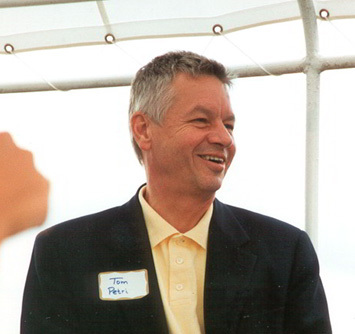 US Representative Tom Petri said " As John Edwards travels through Wisconsin today, people may hear the false charge that their overtime is at risk," Petri said. "The truth is that President Bush is absolutely committed to putting more money in the pockets of working people — both through good pay and less taxation." 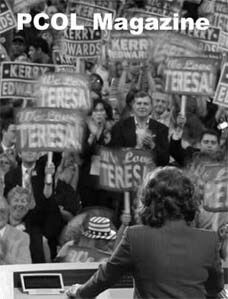 Democratic vice presidential candidate John Edwards criticized President Bush in La Crosse on Monday night for not condemning more quickly ads that question John Kerry's military service. Speaking to more than 4,000 people at a rally on the city's riverfront, the North Carolina senator said Bush will "pay the price" in November for failing to disavow earlier the ads by a group calling itself Swift Boat Veterans for Truth. Earlier Monday, the Bush-Cheney campaign issued a statement from U.S. Rep. Tom Petri, R-Wis, "As John Edwards travels through Wisconsin today, people may hear the false charge that their overtime is at risk," Petri said. "The truth is that President Bush is absolutely committed to putting more money in the pockets of working people — both through good pay and less taxation." "What about the loss of thousands and thousands of jobs in the state of Wisconsin?" Edwards continued. "Do the people of Wisconsin really want to hire somebody —rehire somebody — as president who's cost them tens of thousands of jobs?" Edwards said he and Kerry would "get rid of these tax cuts for American companies that are taking jobs overseas, and instead give tax cuts for American companies that are keeping jobs right here in America." "We need a president who will fight as hard for your job as he fights for his own job. That's what we need," Edwards said.